Excludes prior purchases. 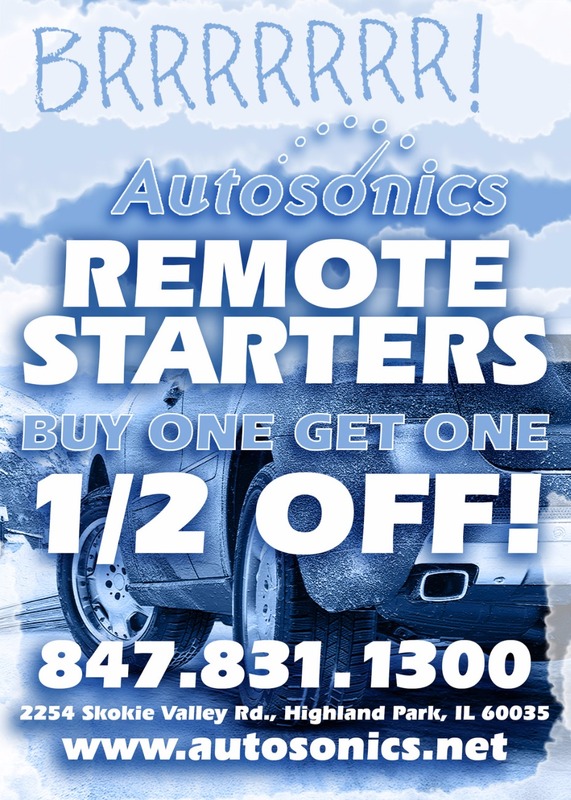 1/2 Off savings will be appled to the lower priced Remote Starter installation. Every third vehicle is 25% off. A fourth vehicle would fall under the Buy One Get One 1/2 Off offer. Luxury vehicles that require additional parts not included in this offer. Total invoice must be paid at point of purchase. Offer only valid at Autosonics of Highland Park. Offer ends March 1, 2017. Appointment required.